I wrote an article on the best ramen in Montreal for montreall.com. 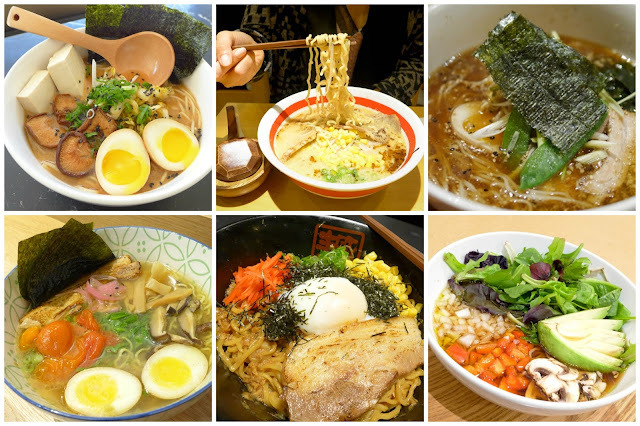 In that article, I gave an overview of the different types and styles of ramen available in Montreal. 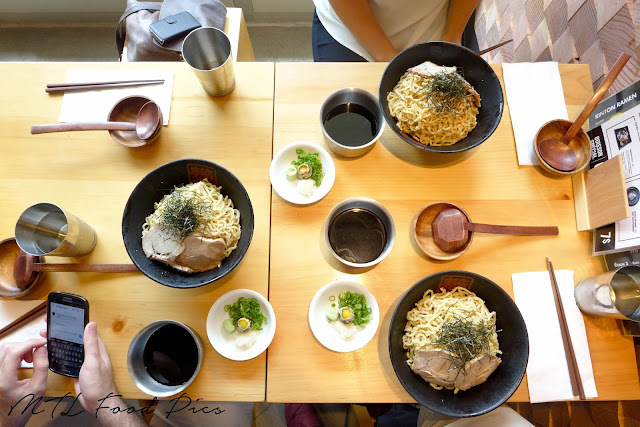 There are so much to cover on this topic that I took the time to write a follow-up post on my favourite bowls of ramen in Montreal. I don't believe there is such thing as the best spot for ramen in the city. Each ramen is unique; you won't find two bowls of ramen that look and taste the same thing. Some shops specialize in one particular type or style. Being a ramen fanatic, I tasted over 100 bowls of ramen throughout my travels. Now that winter is approaching, it's the right time to share with you my top 11 bowls of ramen in Montreal. This is the lightest ramen I have ever eaten. This restaurant specializes mainly in yakitori (Japanese brochettes) grilled over binchotan (Japanese charcoal). On Fridays and Saturdays, at the stroke of midnight, Otto Yakitori serves a shio-type ramen. 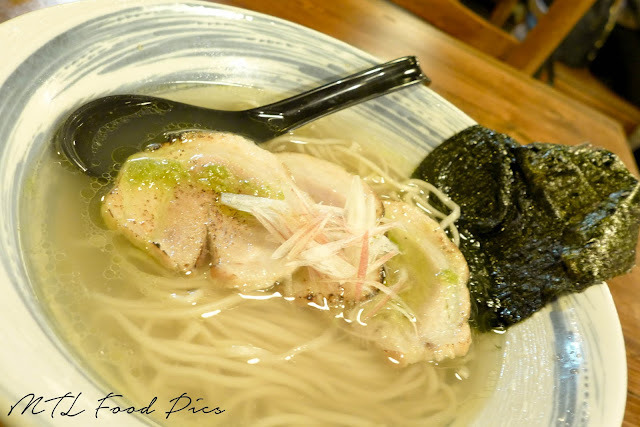 It consists of clarified chicken broth, thin noodles provided by Ichifuku, grilled cha siu over binchotan, minced myoga (taste is between a shallot and a ginger), yuzu oil and nori. Here chicken bones are boiled for over 5 hours. 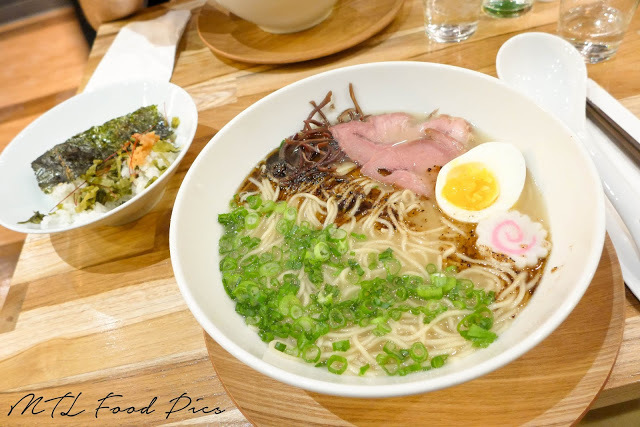 This few week-old spot specializes in tonkotsu-style broth located on Plaza St-Hubert. 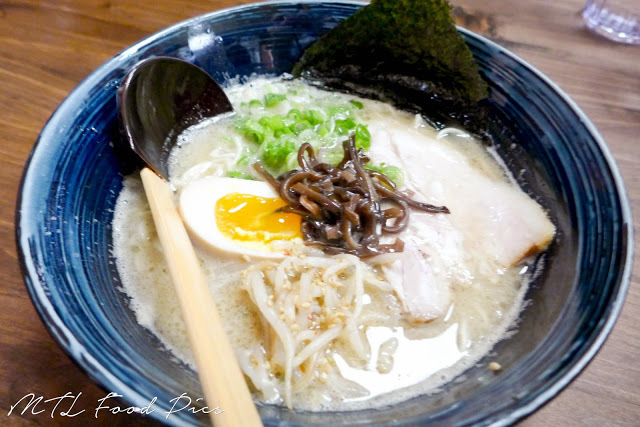 This is one well-balanced and complex bowl of tonkotsu ramen, one of the best in the city! The broth is boiled for 18 hours giving its thick and creamy consistency. Also, a cloudy white broth is a good indication of a rich pork flavour. For an extra dimension of flavours, maple-smoked bacon is infused into the broth that gives a pleasant smoky aftertaste. 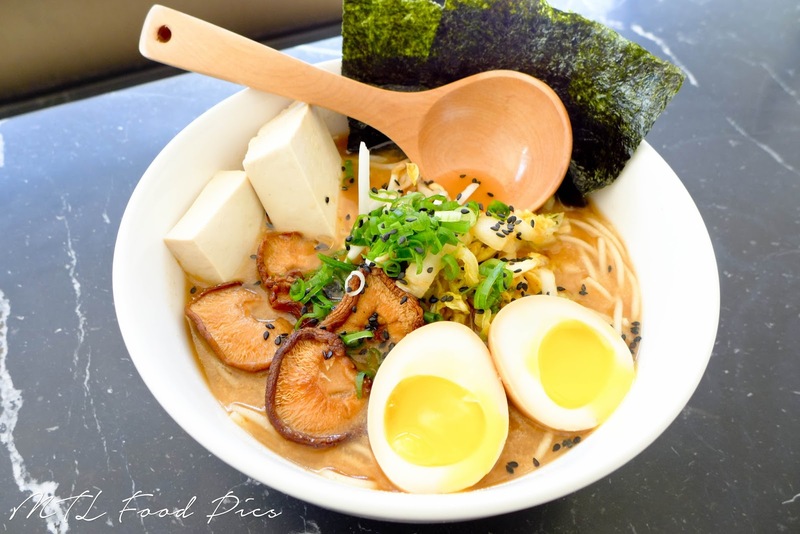 This ramen comes with torched pork belly, juicy pulled pork, soy-marinated egg, burnt garlic-sesame oil, pickled onions, wood ear mushrooms, scallions and nori. This place does a modern take on ramen. 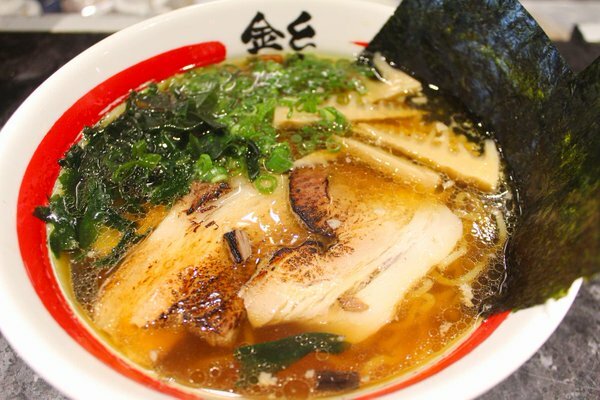 Unlike many ramen shops that use pork as their base, the daku ramen uses chicken bones simmered for over 7 hours. Their cha siu is cooked sous-vide and the ramen egg is infused in dashi (instead of the conventional soy-mirin-sake marinade). Nakamichi also has a vegan ramen available on their menu. The broth is primarly made of shiitake mushrooms and kombu. A shoyu tare and a touch of curry powder are added to the broth. Ichifuku is one of the two ramen shops in Montreal that make their own noodles. It serves all the known classics (shio, shoyu, miso, tonkotsu) and a few special ones. 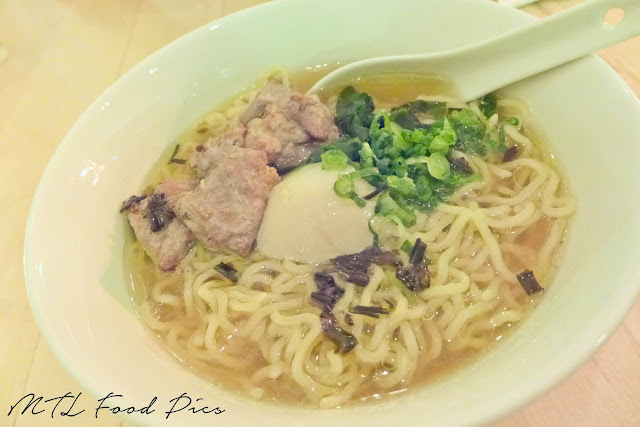 What I really like is the tan tan ramen, inspired from the Sichuan specialty dan dan mian. It is ground pork cooked in spicy chili and sesame, then incorporated into chicken broth. 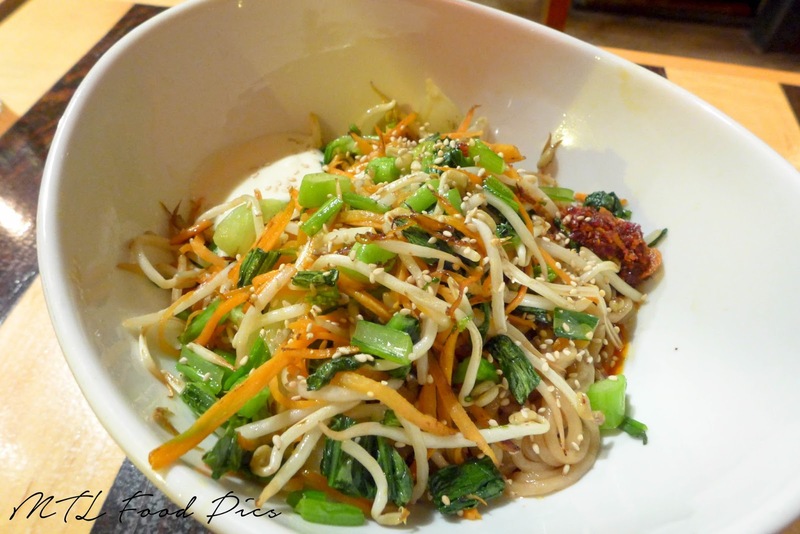 Here toppings include wood ear mushrooms, snow peas and bean sprouts. This is one of my favourite shoyu ramen. The broth is light and refined, made from fish bones and kombu simmered for 3 hours. Toppings include torched cha siu, fresh bamboo shoots, seaweed, scallions and nori. Most of us know by now how good the food at Kazu is. People might not know that it has a shoyu ramen on their menu only available at lunch. The broth uses primarily pork bones that are boiled overnight. It has a thick consistency packed with flavours. 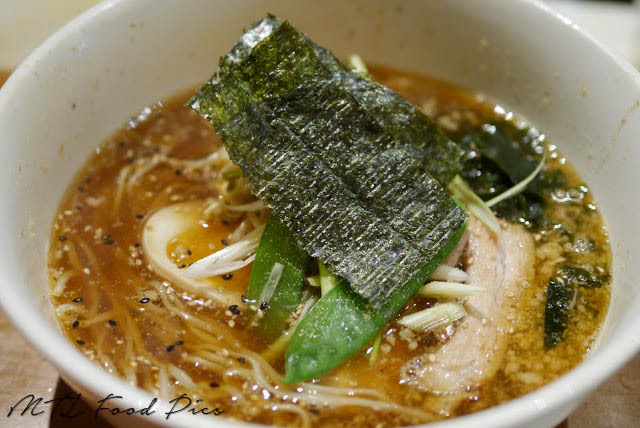 It is accompanied with thick noodles, thick slab of pork belly, fresh bean sprouts, seaweed, scallions and nori. Marusan is a donburi rice bowl/bento box spot during lunch time; it is turned to an izakaya on Thursday and Friday evening. The broth of their shoyu ramen does not use pork bones, rather it is a mix of dashi and pork meat. The broth is subtle in flavour on the first sip. As you continue eating, the taste of dashi and pork become more pronounced. Toppings include 65-degree egg, marinated chunks of pork shoulder, seaweed and scallions. 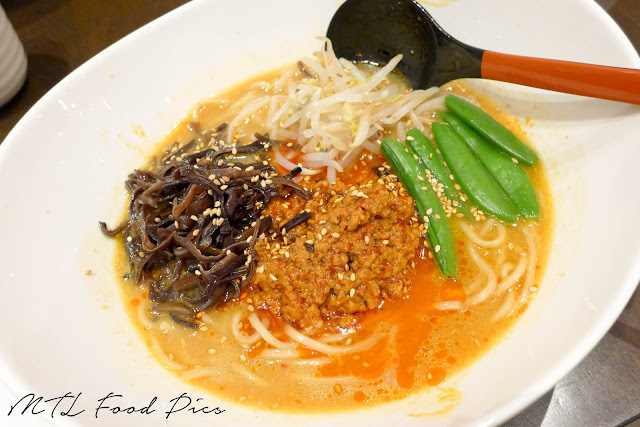 Have you heard of an ice cream shop that serves ramen? Not any type of ramen... vegan ramen. I'm blown away by the complexity and depth of flavours. The broth is a mix of local soy milk, red miso and gochujang. The noodles are the thick white Chinese-kind. Toppings include "quick chi" (kimchi without fish sauce), shiitake mushrooms from Ontario, black sesame and scallions. For an extra cost, you can add tofu, soy-mirin-marinated egg and/or sous-vide pork belly. (Just to not mislead you, the last two toppings are not vegan). I personally prefer tonkotsu that has a thick and creamy consistency like the one at Ramen Plaza. Others prefer broth that is thin and light like the one served at Yokato Yokabai. Here the pork bones are boiled for 12 hours. The ramen comes with thin straight noodles, soy-marinated egg, wood ear mushrooms, pork belly, bean sprouts, scallions and nori. Their noodles are made downstairs, you can have a look through their window how the noodles are produced. Abura ramen is brothless. It consists of cooked thick ramen noodles mixed with flavoured oil and seasoned soy sauce. At Thazard, their abura ramen includes grilled choy sum, garlic soy, chili oil and aioli. You stir all the ingredients together before eating (like a bibimbap). 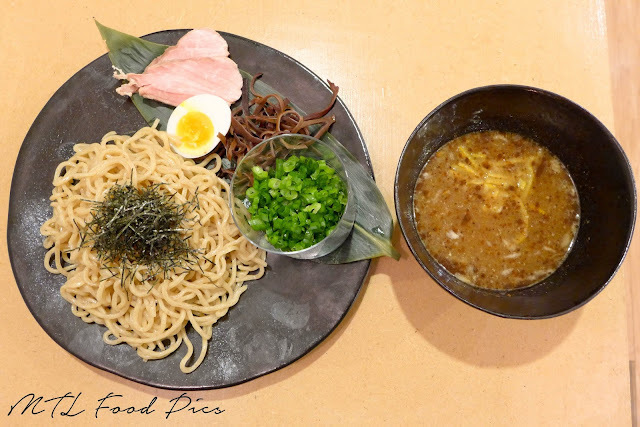 If ever you see tsukemen on the menu, order it! This style of ramen is not widely available here in Montreal. 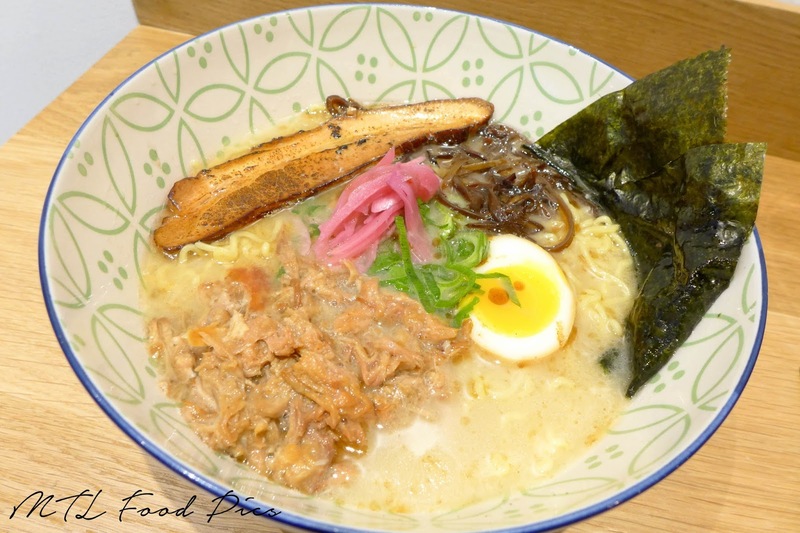 Kinton Ramen has it on their special menu available only during summer. Thick cold ramen noodles are served separately with hot dipping broth. The idea is simple: you dip the noodles into the broth as you eat. Here it is a shoyu broth. It comes with braised cha siu, nori, raw quail egg, grated daikon and scallions. The dipping broth is chicken-based with shoyu tare and yuzu peel. It is served with thick ramen noodles, wood ear mushrooms, soft-boiled egg and sous-vide cha siu. Once done, you can ask the chef to dilute the dipping broth so you can drink it afterwards. Here is some inside-information. Normally, Nakamichi serves 10 portions for walk-ins. However, it can prepare more if you reserve by phone between 2pm-5pm, you can eat it at any time you want. The cruel omission of "Sumo Ramen" breaks my heart! They have been a Montreal staple for as long as i remember eating ramens in this city. Cruel it is, but tasting the other ramen spots that opened this year, the balance of flavours and overall eating experience are better than Sumo Ramen. So sorry, Adam. Not every ramen spots can make my list. I am very surprised that Ichigo Ichie is not on this list. My bad entirely. LOL Mondays. Great list, thank you for the info! Sumo Ramen has never blown me away and the service has ranged from chilly to downright rude every time I've been. It's marketing... Sumo Ramen don't need partenariat... Just the new one.